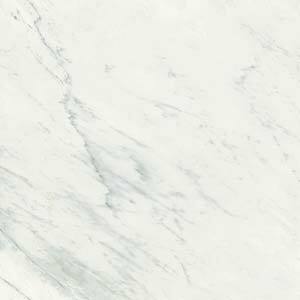 Terms and jargon – what is a marble fireplace exactly? 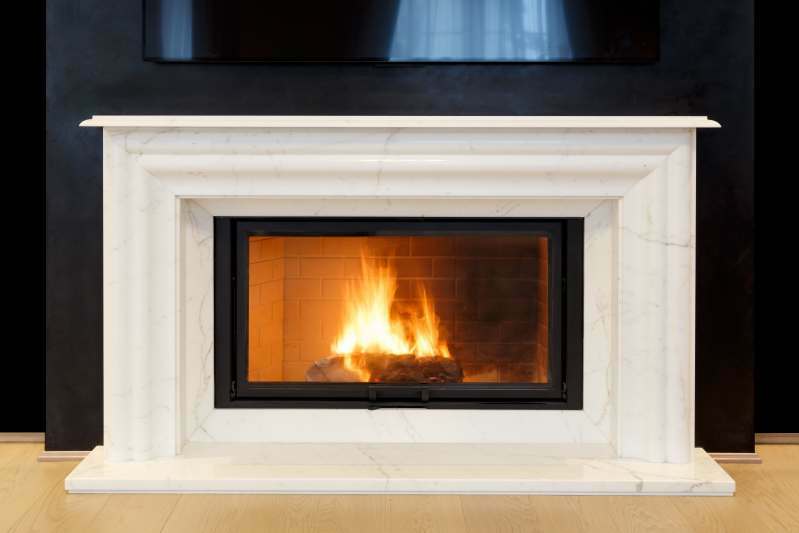 Very few marble fireplaces actually have fire in contact with the marble itself. 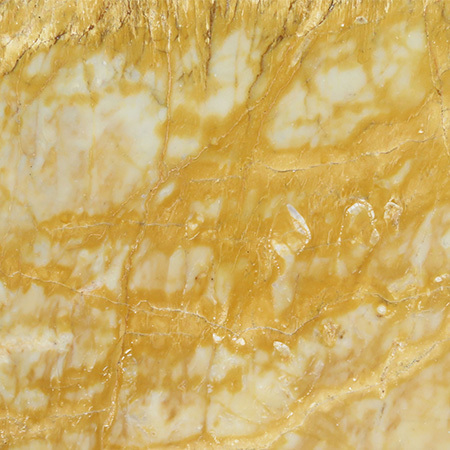 As a general rule, marble is used for the elements surrounding the fire, not the firebox (where the fire sits). 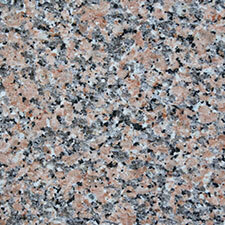 Marble is an excellent choice for the hearth, mantelpiece, facing and decorating the chimney breast. 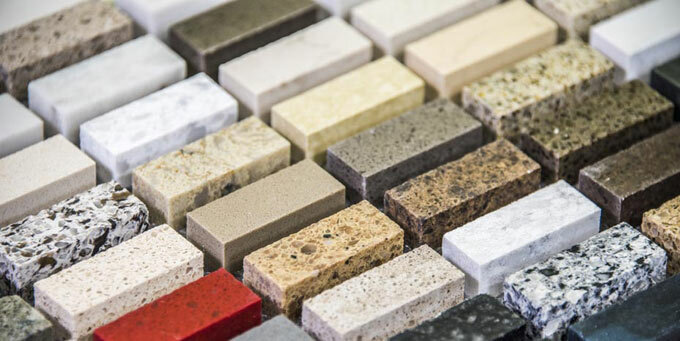 The same stone can be used for all these elements, or other materials can be included. 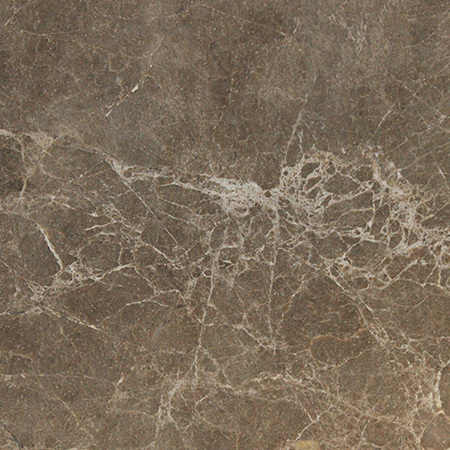 Because marble is a stone, it’s durable, heat resistant and can’t catch fire. 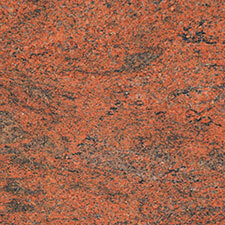 It’s also tough and easy to clean, making it ideal for the rough and dirty business of fire making. 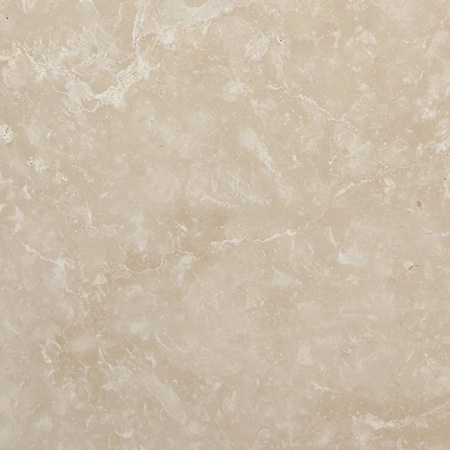 Marble is ideal for log fires, both enclosed and open, as well as wood burners. 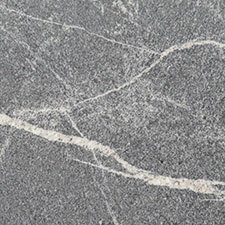 Marble is not at all flammable, which means that any stray sparks or embers will die out rather than starting a fire. Open fires should have wider stone or brick hearths than electric or gas fires to prevent sparks reaching carpet or wood floors. 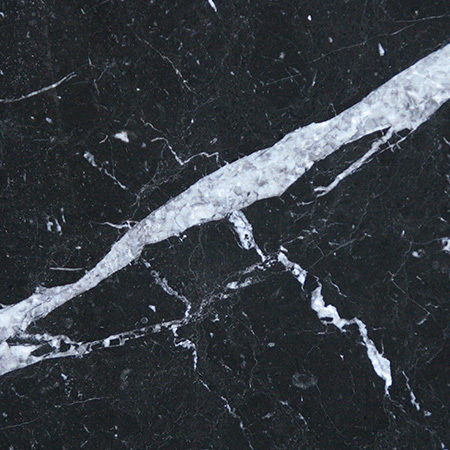 Marble is robust and can easily withstand the knocks and shocks of log baskets, coal buckets and other paraphernalia. Removing the chimney can give you more space in your home, but will limit the type of fire you can install. Gas fires can be installed with a powered flu or small venting system. These are ideal for modern homes which do not have chimneys, or where you want to install a fire somewhere other than in an existing chimney breast. As the fire will still have depth, creating a fireplace around the fire is both visually appealing and an excellent way to disguise the fittings. 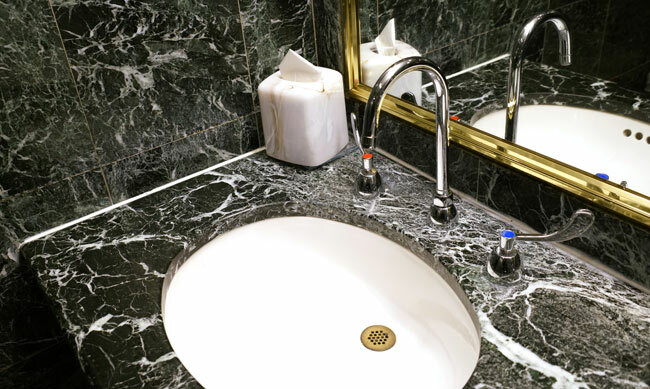 Marble can be cut to fit and is heat resistant making it ideal for the purpose. 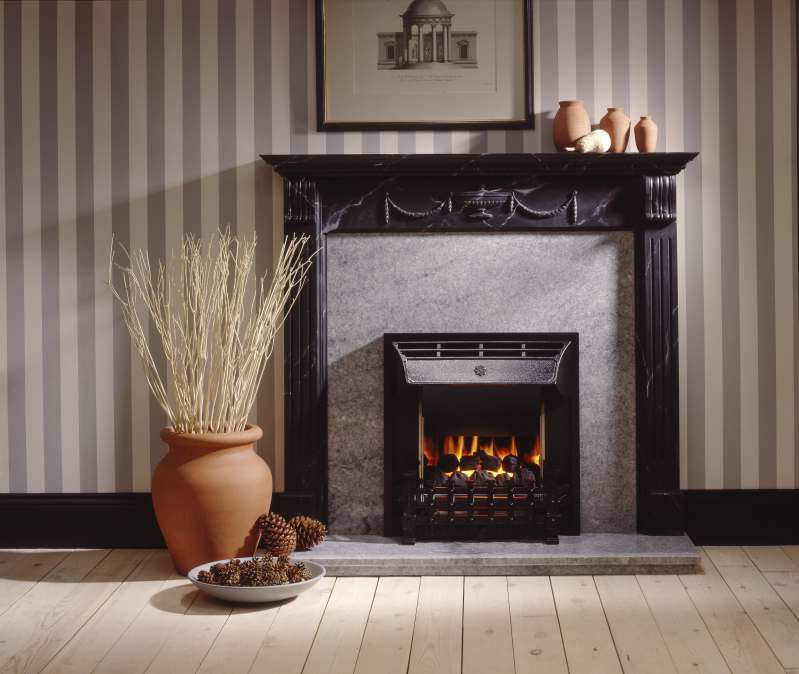 Period fireplaces are a popular and valuable feature, so if you have a vintage fireplace it’s well worth preserving the character of the piece. Sadly, many fireplaces were ripped out as central heating took over. 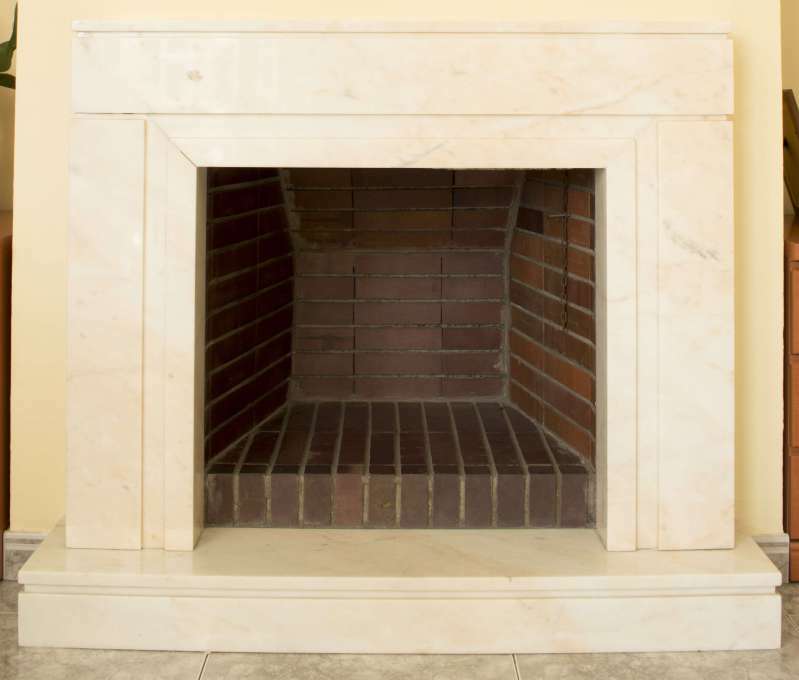 Restoring your home with an appropriate marble fireplace can not only create a beautiful space for your family, but also add value in the long run. 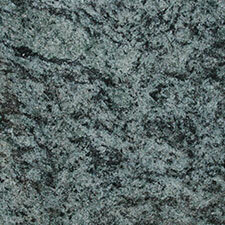 Marble is timeless, and thus an excellent investment. 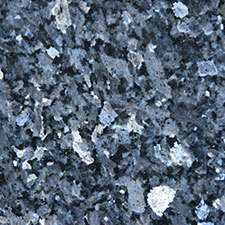 If part of your period fireplace has been damaged, we may be able to simply replace the damaged piece.